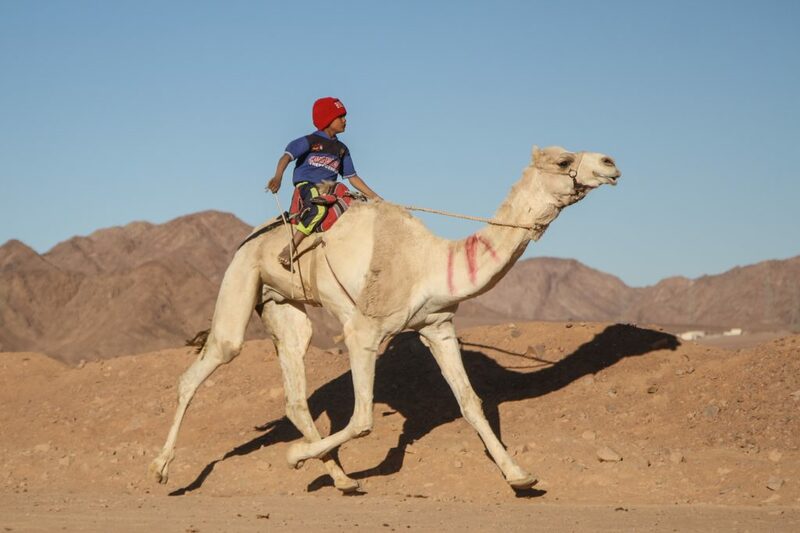 Although unbound by age, all the camel racers are young boys who are light to carry, enabling the camels to run faster. Tea was served for the crowd while Eid, one of the race organizers, called for everyone to contribute to the cash prize. Under the mild winter sun, hugs and greetings filled the arena with friendly warmth. Meanwhile, the young racers attended to their camels, most of them three times the height of their riders. In a couple of hours, the young camels, aged one to four, were ready to kick off the first race of the day. The race normally takes place in the 12-mile Zalaga Valley, but this year, the camels raced for four miles, doing two laps around the dusty track. No sooner had the young camels reached the finish line than the racers—all young boys due to their light weight—summoned the older camels for the second race. In no time, the second race was over, the prizes distributed, and the audience dispersed. Men gather around for tea waiting for the race to start. It’s remarkable that an event entirely organized by the local Bedouin community, receiving no support at all from the state or any other organization, has lasted so many years. 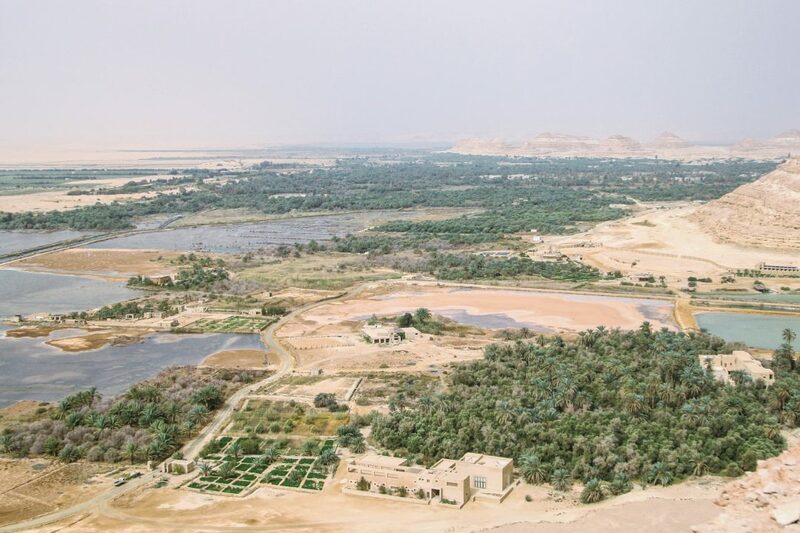 There aren’t many events of the same scale organized by this community; the 24 tribes across North and South Sinai tend to keep to themselves. The following day, I sat in a makeshift tent few hundred yards away from the race track with Eleyyan of the Mezeina tribe, caretaker of the site and camel trainer; Hemdan of the Tarabin tribe; and Eid of the Mezeina tribe. With them were some of the young racers I had seen the day before, including a two-time winner, 8-year-old Mohamed, and 13-year-old Abdelrahman. As we sit down for tea around the crackling fire, more friends joined in. 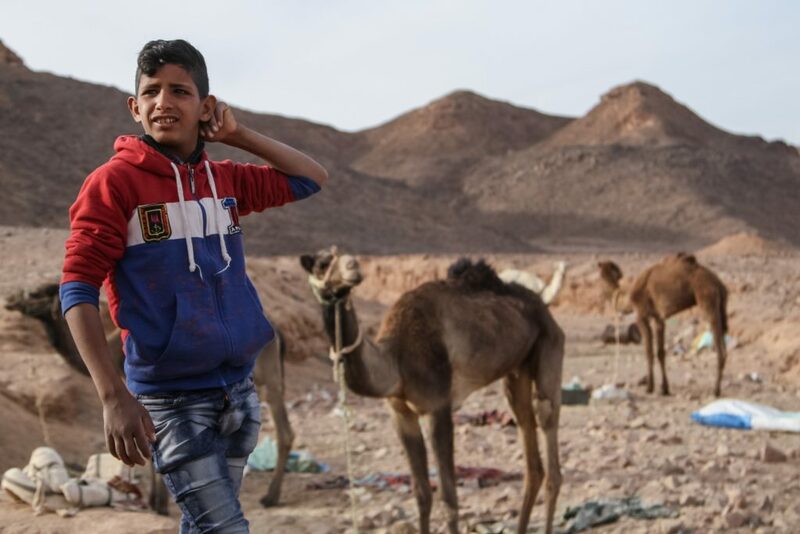 Thirteen-year-old Abdelrahman spends time with his camel near the Megreh race track to practice and hone his racing skills. Nestled and isolated between the waters of the two gulfs of the Red Sea, the Suez Canal, the Mediterranean, and the West Bank and Israel, the Sinai Peninsula has witnessed decades of unrest, armed conflict, and war, most notably in 1956, 1967, and 1973. It wasn’t until 1982 that Egypt reclaimed its sovereignty over Sinai after 15 years of Israeli occupation. Men gather around to find out who the winners are and collect prizes. In the past century, the Bedouin community has changed drastically, and the need for camels as a part of daily survival has faded. Nonetheless, camels—which cost from EGP 20,000 ($1,132 USD) to EGP 250,000 ($14,150 USD)—are still purchased, raised, and camel races, which can appear as a luxury activity akin to elite horse racing elsewhere, are financed. However, although the region remains greatly underdeveloped and neglected, camels are seen as a cultural necessity. In the Peninsula, camel races are far more than a means of entertainment. 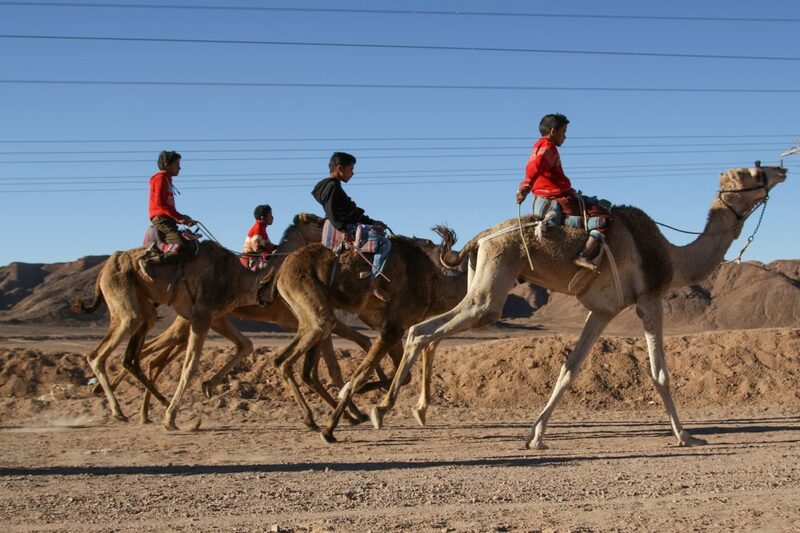 They are an attempt to save an integral feature of Bedouin culture and identity; one of many means that the Bedouin have come up with to justify keeping camels in their lives. To better understand the Bedouin-camel relationship, I spoke to Farag Soliman of the Mezeina tribe, a man who spent his entire life living with, and for, camels. 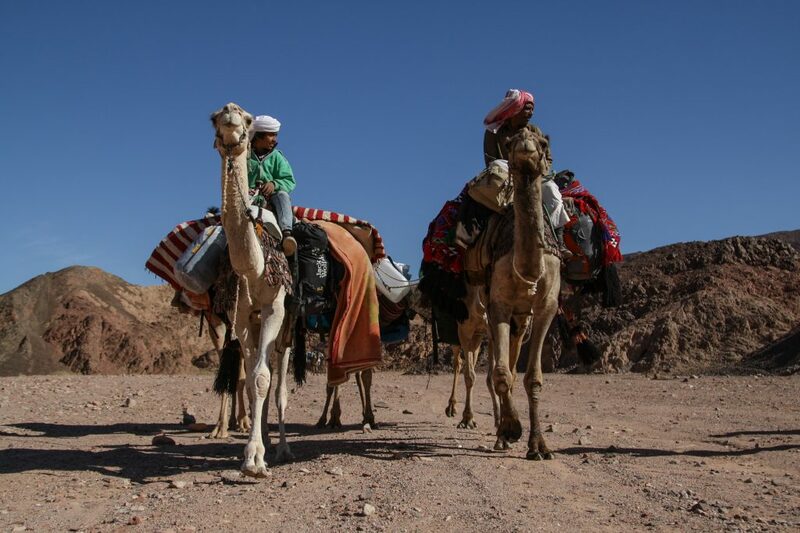 For hundreds of years, the Bedouin community of Sinai has led a nomadic life in the rugged desert and highlands, where the camels played a pivotal role in their professional as well as personal lives. Cameleers on the Sinai Trail carry the hikers’ belongings and tents, food, water, and other supplies. 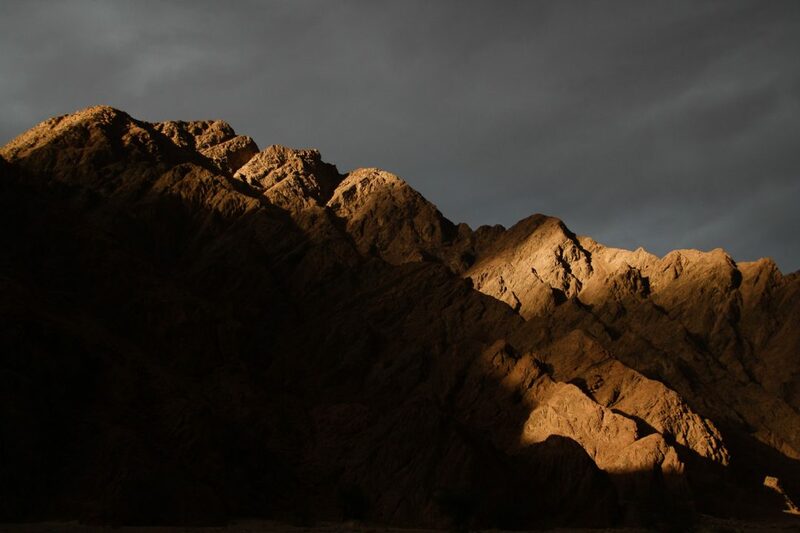 With unmatched knowledge of the valleys and mountains, the Bedouins were renowned for their impeccable skill in guiding pilgrimage and trade caravans. During their daily pursuit for wild plants and fresh water, the camels have roamed with their owners near and far, carrying their belongings and families. The world may have indifferently forgotten about camels, but to the Bedouin, it was a matter of letting go of their identity. Beginning in childhood, Bedouins are taught that a household in which a camel grunts is a household that will never be poor. Putting practicality aside, owning a camel is, first and foremost, a source of psychological security: “a shield against poverty,” as Soliman says. A camel will provide you with milk to drink, it’ll help you find work to make money, and if worse comes to worst, you can sell it. “With time, the presence of a camel in a Bedouin’s life slowly transcended a particular purpose. Its existence became part of your very existence,” he adds. After a full day’s hike, the camels are unloaded at the Meleihis Valley where the hikers set camp for the night. As a child, the household Soliman grew up in constantly included camels. He always dreamed of having his own herd. As he grew older, his herd grew bigger. He travelled all around the country, cherry-picking the finest breeds, which he hoped to interbreed to come up with even stronger, more resilient ones. Sometimes he found them on the borders of Sudan, other times in Egypt’s eastern desert, or Sinai itself. After decades of living with camels, Soliman now has seven adult camels and four calves. Similar to how the Bedouin community has turned the camel races and their monetary prizes into a motive for people to keep the camel culture alive, so has the safari trip industry, which Soliman takes part in. 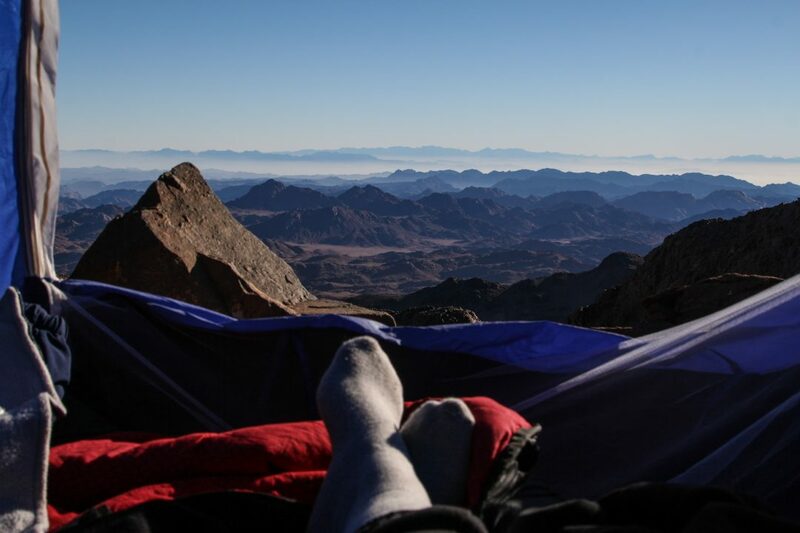 Tourists from Egypt and abroad participate in hiking trips into the highlands, which can last from a day to 20 days, during which the camels carry water, food, luggage, and tents. Camels, inherently very strong, can only be disciplined through years of careful training, most critically during their first four years, paralleled with a genuine bond of mutual affection with its owner. Even when people are not already involved in the industry, they can rest assured that owning a camel will bring them an opportunity for work. Even when there are no camel races, many camel owners use the venue for practice and keeping their camels in shape. 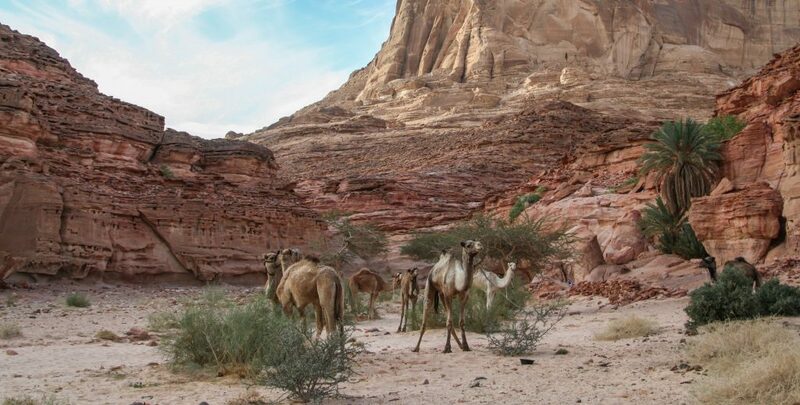 Soliman may have given camels a reason not to disappear from his life and that of other Bedouins, but in return they have given him priceless lessons. During the long months that he spends alone with his camels, Soliman is often in awe at the wisdom they can teach. In trying to understand each camel’s individual personality, Soliman learned patience. His camels have also taught him the importance of introspection and evaluating one’s actions before pointing fingers and blaming others for their reactions. Together, camels and their owners exhibit what any healthy relationship should look like: one that is established on genuine love, mutual respect, and trust. In the ongoing battle between modernity and tradition, younger generations are more likely to side with luxury over preserving Bedouin culture. Despite all the effort put forth by Soliman and many others like him, it’s questionable whether sentiment alone can keep such zeal for camels alive. “We never really experienced for ourselves what it’s like to be in dire need for a camel. 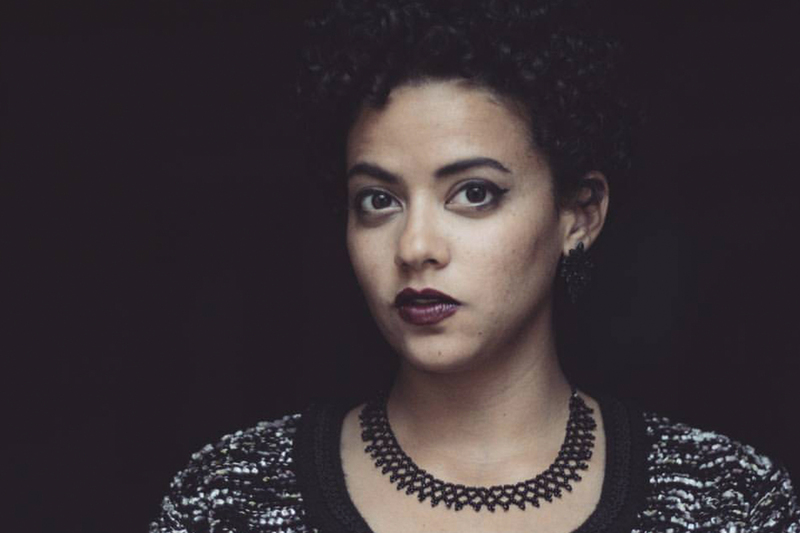 Those are all stories that have been passed down to us,” says Soliman. During the 1967 Six-Day War between Egypt and Israel, cars proved almost useless, whereas camels were the only safe means of transportation across the highlands. Camels were vital for Egyptian forces during the war for safe, undetected movement. The Bedouin community has generally played an outsized role in regional conflicts due to their unmatched knowledge of the remote and difficult to navigate highlands. “People who have never lived through situations like these may not imagine what it’s like to really need a camel, or how not having a camel could affect it,” says Soliman. “Some people may not know what that is like, or maybe others have forgotten because of how easy life has become. Everything is available in supermarkets, and nothing is half as hard as it used to be.